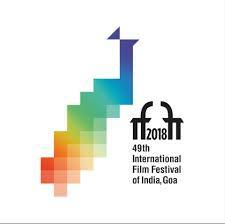 Panaji: November 20, 2018 … The 49th edition of International Film Festival of India (IFFI 2018) was inaugurated by Goa Governor Dr. Mridula Sinha and Union Information and Broadcasting Minister Col. Rajyavardhan Singh Rathore (Retd.) AVSM at the Dr Shyama Prasad Mukherjee stadium in Taleigao, Plateau, today, in the distinguished presence of PWD Minister, Shri Ramkrishna Sudin Dhavalikar and others. Superstar Akshay Kumar and well known bollywood director Shri Karan Johar graced the function. While speaking on the occasion, Shri Dhavalikar said Goa is perfect destination to host IFFI. IFFI provides a common platform for cinematographers of world he said. Shri. Dhavalikar thanked the Chief Minister of Goa, Shri Manohar Parrikar, who he said is the man behind this landmark event, and who has brought about several important film related infrastructural changes and State of Art theatres in Goa, all of these projects which were realized under Shri Parrikar’s leadership. Member of Parliament, Rajya Sabha, Shri. Vinay Tendulkar, Chief Secretary, Shri Dharmendra Sharma IAS, Speaker of Goa Legislative Assembly, Dr Pramod Sawant, Minister for Tourism, Shri Manohar Ajgaonkar, Vice-Chairperson of Entertainment Society of Goa (ESG), Shri Rajendra Talak were among those were present at the event. Earlier, Secretary, Information and Broadcasting, Shri Amit Khare, IAS, welcomed the gathering. In his address, Shri Khare said that this industry apart from being a social messenger and a medium of entertainment is providing revenue and growth and employment. Israeli film maker Shri Dan Wolman received the Lifetime Achievement Award. The jury for the International Competition comprising of John Irvin, Adrian Sitaru, Polish Director Robert Glinski, Anna Ferraioli Ravel and Indian member Rakeysh Omprakash Mehra were felicitated on the occasion. Israel is the Country of Focus for this year’s IFFI while the State in Focus is Jharkhand. The opening was followed by the premiere of the movie ‘The Aspern Papers’ directed by Julien Landais. The director and cast of the film were felicitated at the inaugural. Performances by Sonu Sood, Shilpa Rao, among others were the highlights of the IFFI opening ceremony. Singing sensation Arijit Singh also wooed the audiences in Goa with his soulful voice. Actress Mandira Bedi and Amit Sadh compered the function. As part of IFFI, a special package for visually impaired children, special screening with audio description will be organized for the children. The festival will showcase the movies ‘Sholay’ and ‘Hichki’ under this section. This year, there will be a special presentation of Tunisian films.